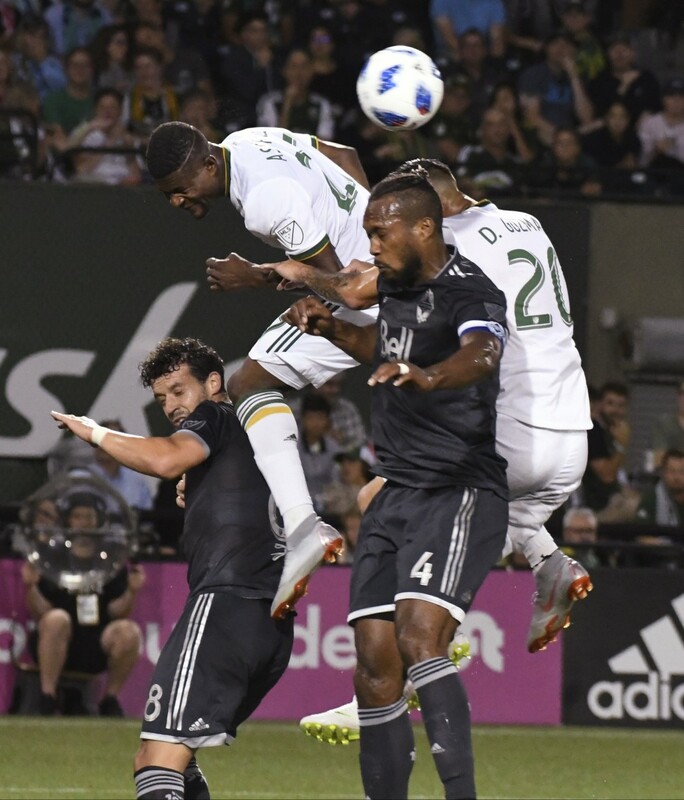 PORTLAND, Ore. (AP) — Kei Kamara and Cristian Techera each scored for the Vancouver Whitecaps in a 2-1 Cascadia Cup victory over the Timbers on Saturday night, snapping a 15-match unbeaten streak for Portland. The Whitecaps (9-9-6) were without 17-year-old midfielder Alphonso Davies because of a groin injury. Bayern Munich acquired Davies last month for a transfer fee that could, with bonuses, total an MLS record of $22 million. He'll move to the German team after Vancouver's season. Kamara gave the Whitecaps the early lead with a header off a free kick in the 14th minute. 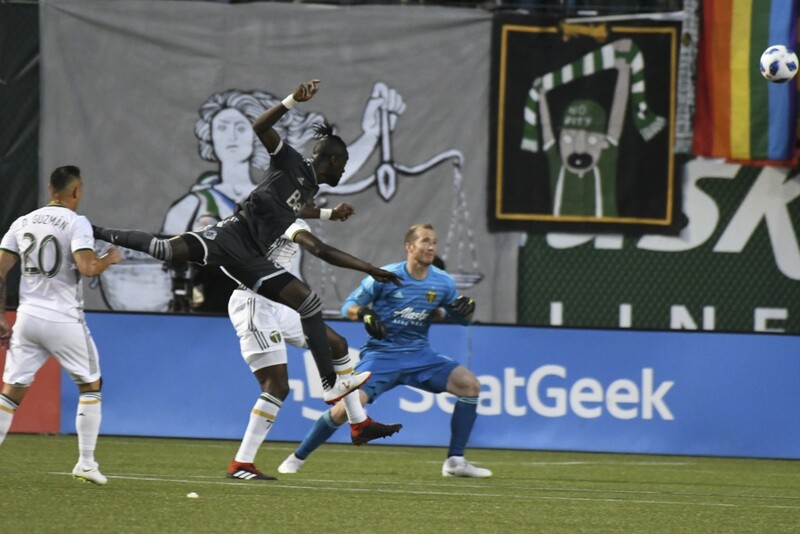 He celebrated his team-leading 10th goal of the season by doing a little dance in front of the Timbers Army supporters' section with teammate Kendall Waston. The Timbers had a good opportunity to pull even in the 41st minute, but Valeri's penalty kick went just wide. The reigning league MVP and Portland's top scorer buried his head in his hands after missing the shot. 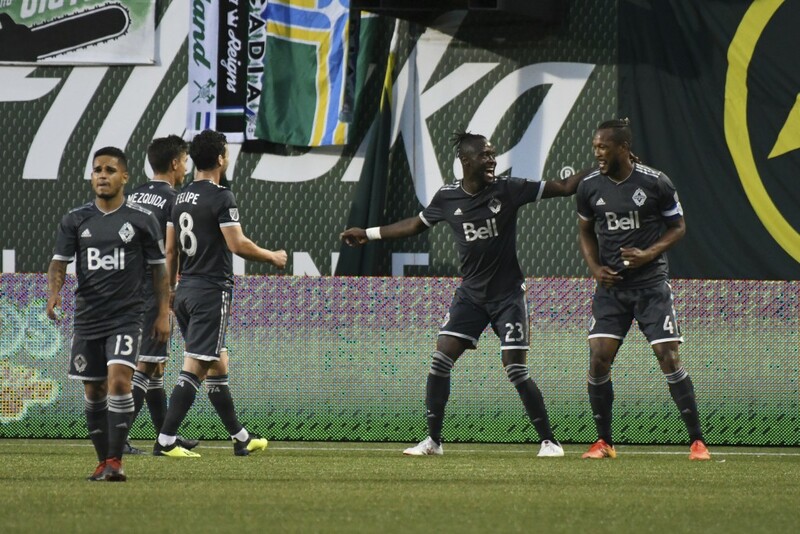 Portland was coming off a 3-0 victory over the Philadelphia Union last weekend that gave the Timbers their longest MLS undefeated streak since they also went a record 15 games without a loss in 2013. Portland is the only team with two streaks that long. The longest unbeaten streak is 19 games, set in 2010 by Dallas. The Timbers had not lost at home in 16 regular-season matches dating back to last season. 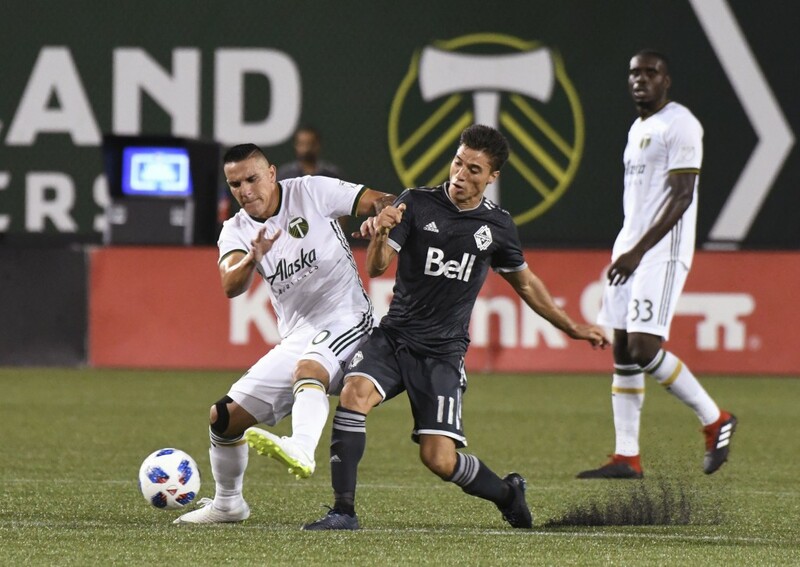 Earlier this week, the Timbers acquired defender Jorge Villafana from Santos Laguna of Liga MX. The team also saw the return of forward Lucas Melano from loan to Argentina club Estudiantes. Neither player was available for the match. The Cascadia Cup is the three-way rivalry between the Timbers, Whitecaps and Seattle Sounders that was started by rivalry groups before the teams joined MLS. It was the first meeting between the Timbers and Whitecaps this season. The Whitecaps were coming off a 2-2 road draw to NYCFC in MLS play. Vancouver played Toronto FC to a 2-2 draw for the first leg of the Canadian Championship final on Wednesday night. The final moves to Toronto next week.